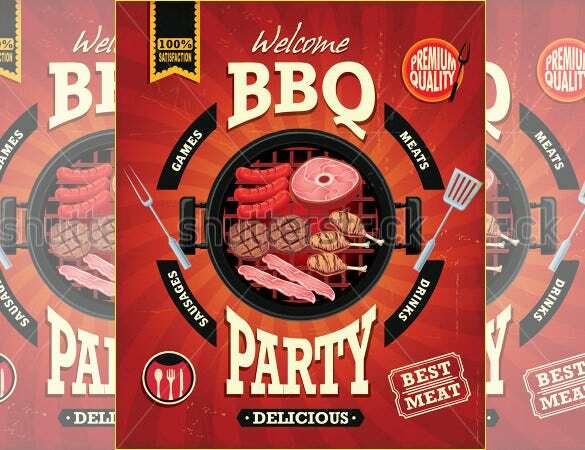 Barbecues are a great way to get together with your family and friends and make merry over delicious barbecued culinary delights. 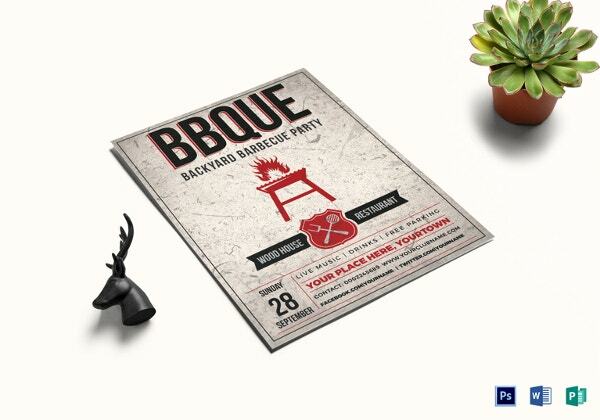 If you’re one of those people who love to invite the entire neighborhood to come and join you for a barbecue party, we’d recommend you make and distribute barbecue flyers. 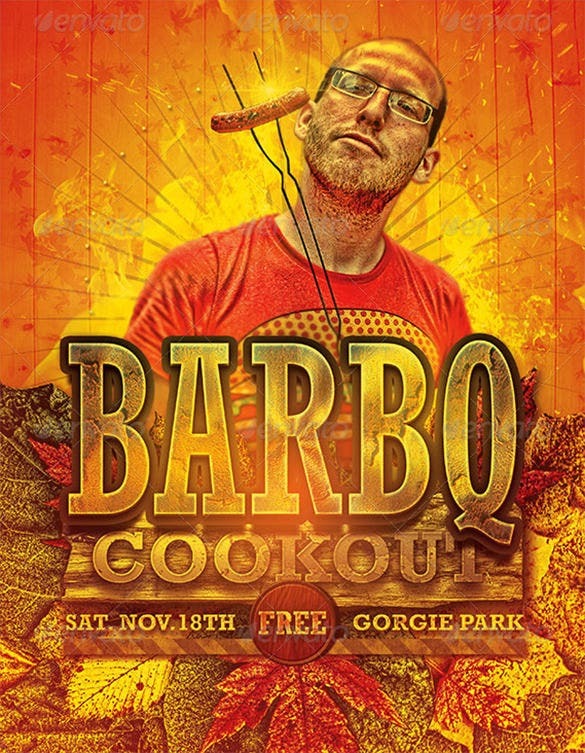 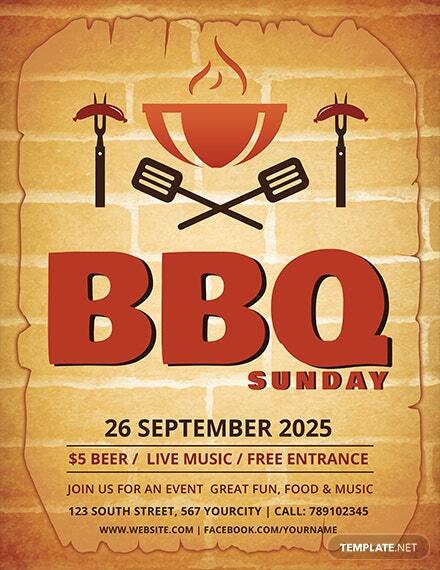 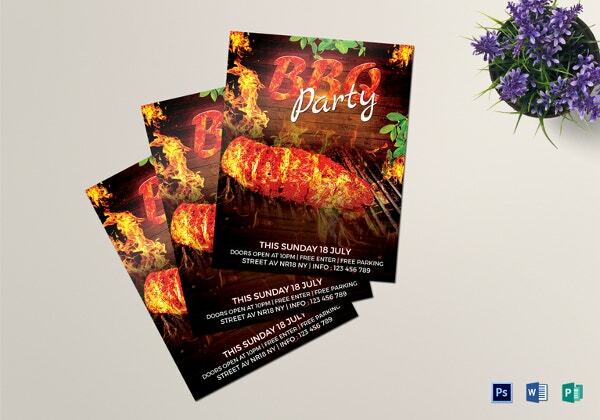 They are even useful if you have an eatery or restaurant which serves barbecue food – great marketing tool, the flyers. 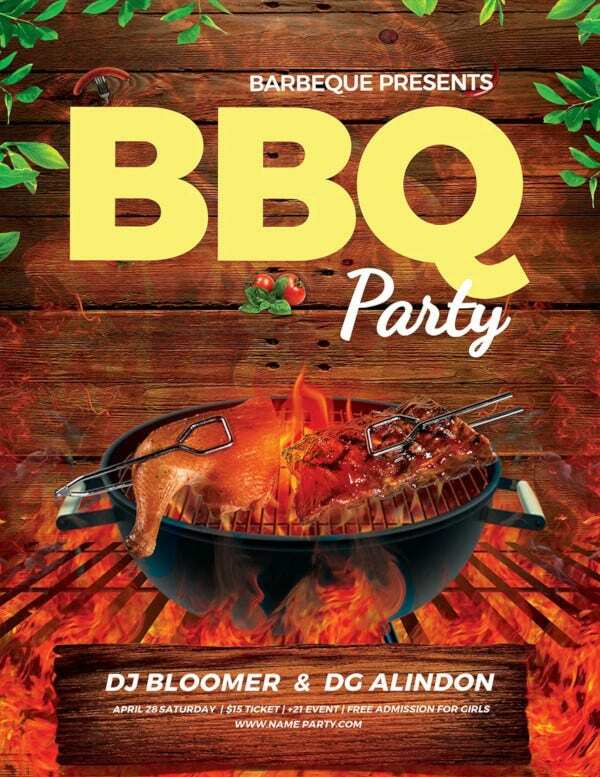 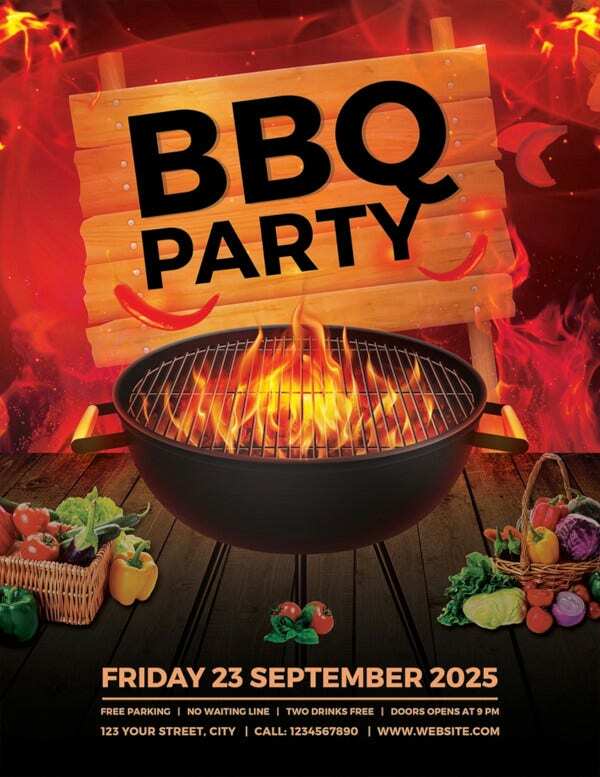 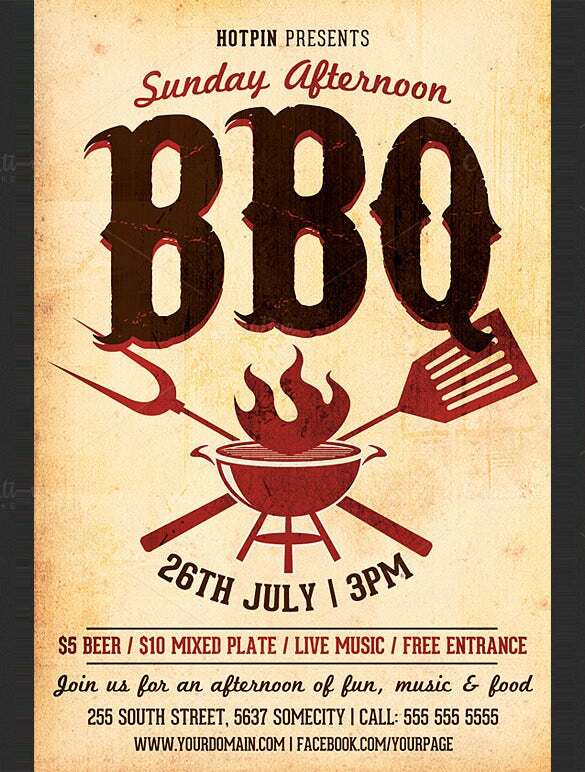 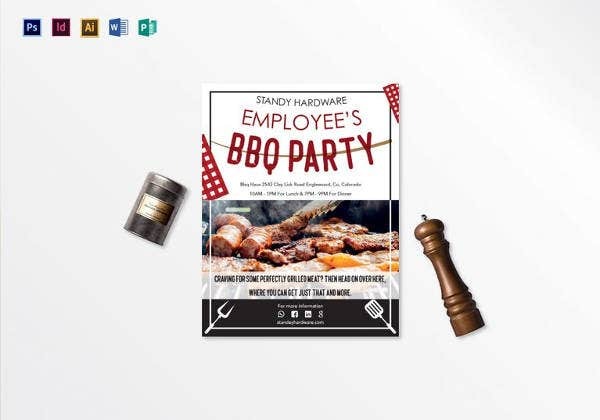 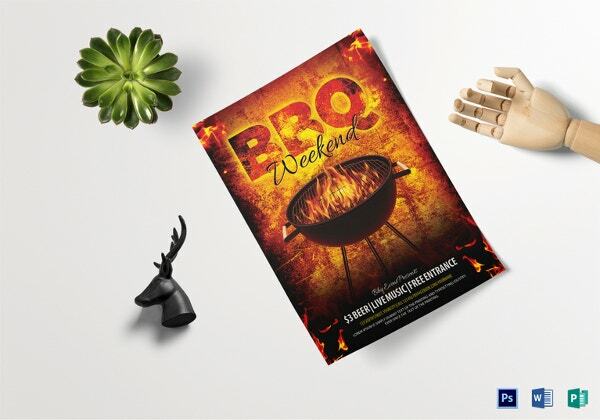 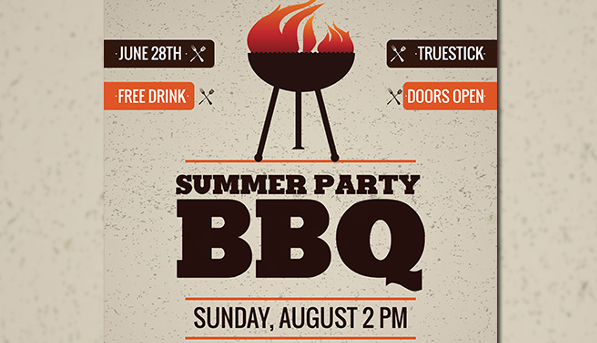 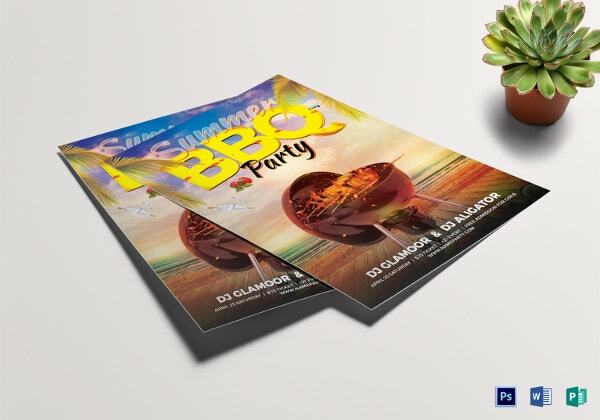 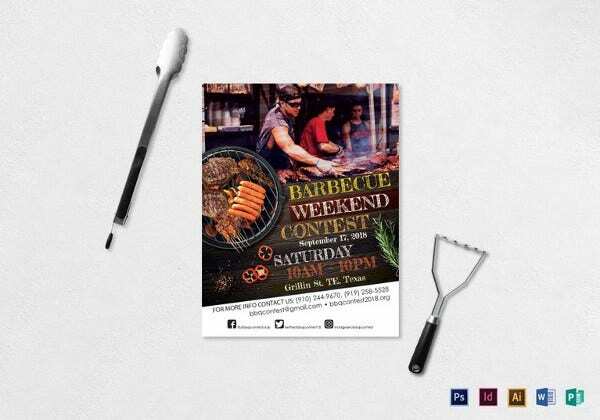 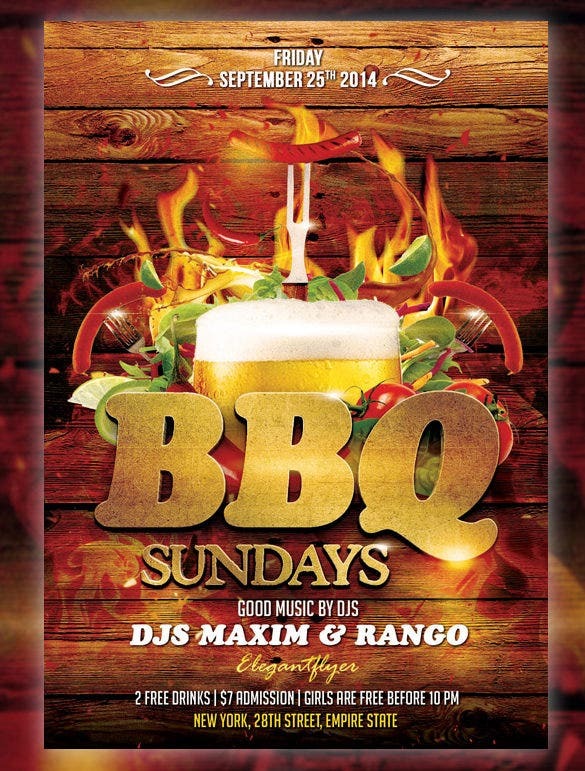 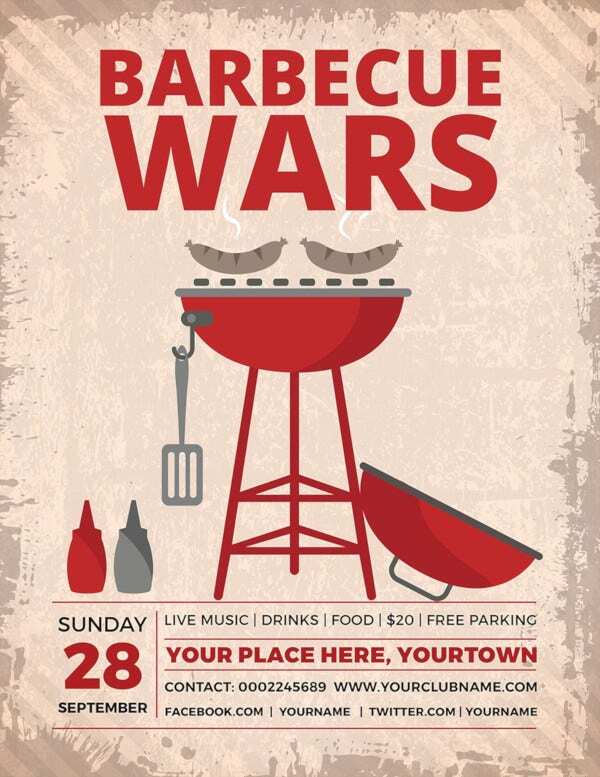 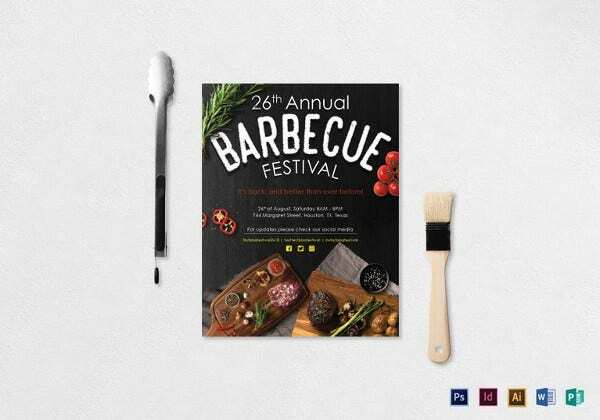 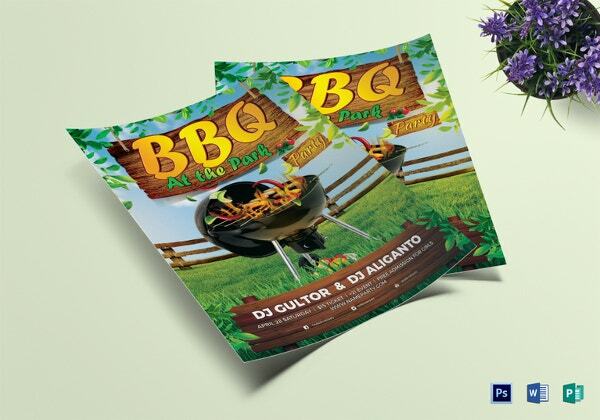 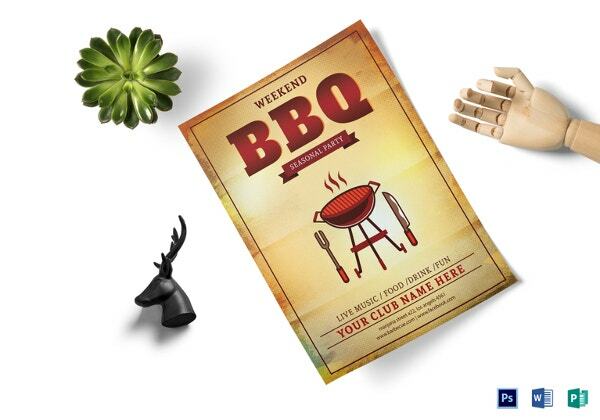 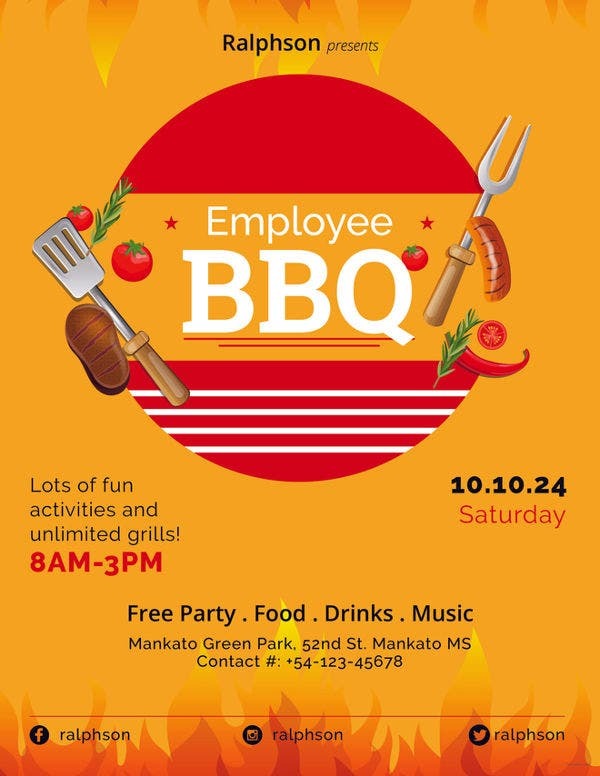 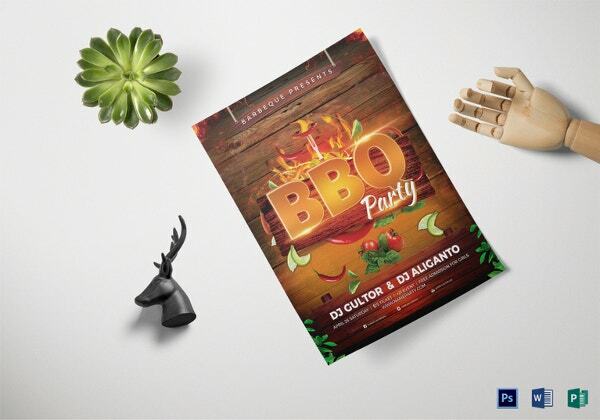 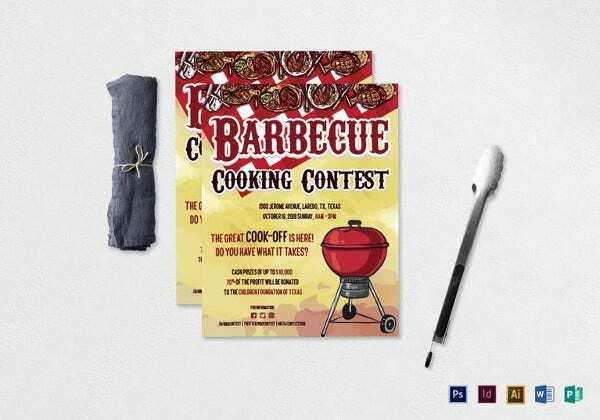 We have listed top-quality templates which would help you create the ideal barbecue flyer!You can also see premium promotional flyer templates. 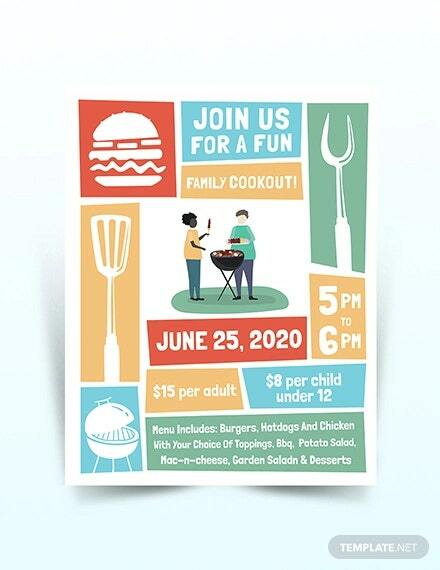 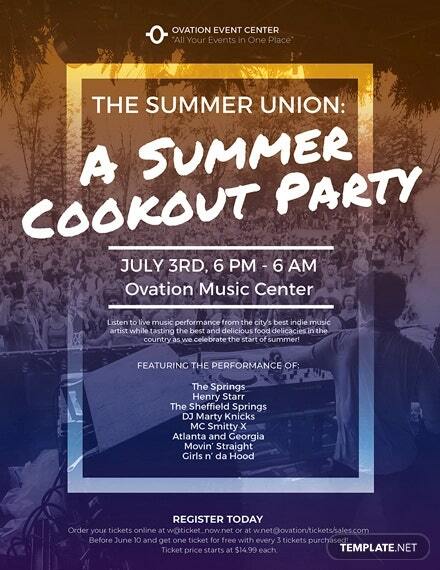 Let people know exactly what they’re signing up for: an enjoyable evening, good company, and great food. 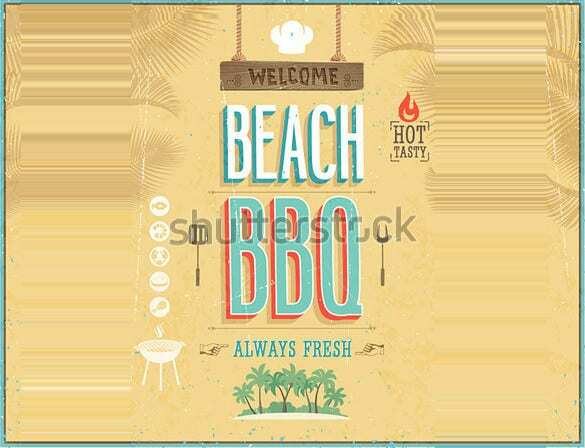 Naturally, you should tell them the place and the time, but you can do it in style with carefully made designs which are a treat for the eye.